That Can Help You Organize your trip in Egypt and discover ancient Egypt, Nile river, Egypt pyramid, Nile cruises, or Egyptian hieroglyphics. Enjoy Egypt holidays, cheap and all inclusive holidays to Egypt. Egypt is one of the most vibrant and varied destinations in Africa with attractions varying from the gorgeous beaches of the Red Sea, to the pyramids, to the bustling cities of Luxor and Cairo. Whether it's a desert adventure, a beach getaway, or the unfolding of history you are interested in, Egypt will be the destination that sparks a burst of inspiration in your heart and mind. A great story awaits you. Nile river, Egypt pyramid, Nile cruises, and Egyptian hieroglyphics. We have helped countless travelers to Egypt with our up to date information. Vacations to Egypt, holidays, Egypt tours, hotels, flights, accommodation, safaris, visa and so much more has been presented here to help you have a perfect African tour to Egypt. We understand that when dealing with a company on the internet you must be careful. We encourage you to check us out. We want you be be completely satisfied that your travel with us will be worry-free. The company got its start back in 1933, when Hassan Sadek, the founder of Ancient Egypt Holidays, was busy promoting local tourism out of his small apartment. It was his perfectionism and his fine attention to detail that established his reputation as one of the country’s leading tour brokers, and as a result, turning this small company into a big success. Since it’s establishment, the company has gone from strength to strength, creating and maintaining strong relationships within the tourism and hotel industry, and adding under its belt a wide range of integrated, personal service and offerings that meet the needs of the most discerning clients. At Ancient Egypt Holidays, we are committed to providing our clients with a unique, unparalleled holiday experience that not only meets their expectations, but also surpasses them. In fact, customer satisfaction is the cornerstone of our success and an objective we are dedicated to maintaining. Our Mission is to perform and deliver excellent quality service to our clients. Let your imagination be your guide...We believe the best way to experience a country is through the eyes of the local people, and we Are Egyptians from Egypt with over 28 years of experience in the travel industry. Ancient Egypt Holidays has over 28 years of experience in designing great holidays for you. 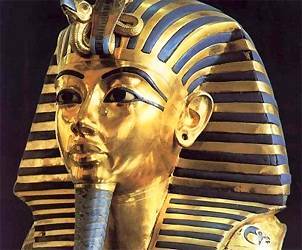 Ancient Egypt Holidays is renowned and trusted for its outstanding quality, service, reliability and financial stability. With over 28 years of practice we’ve perfected the art of creating exceptional escorted holidays.Every expertly designed travel experience includes transportation, via deluxemotor coach, rail or cruise ship, first class hotel accommodation, dailysightseeing and most meals and at savings of up to 40% off the cost of doing it" on your own". Ancient Egypt Holidays continuously strives to fulfill our guests' needs and exceed their expectations – attention to detail ensures you will enjoy a totally hassle-free holiday. We provide the perfect balance between organized activities and free time for individual exploration and relaxation – all you have to do is Dream. Pack. And leave... the rest tours. All our tours are lead by well-qualified English-speaking local tour leaders. We have an experienced, knowledgeable and friendly international team whose passion is travel. Our dedicated partners in each of our destinations have helped us create well-planned tours based on years of research and experience and we ensure that all our tour hotels and support services are regularly inspected. Our now considerable reputation has been earned by being able to offer tours and adventures at a realistic cost without compromise on quality or reliability.